The Handcuffs are playing at Martyrs’ tonight, along with Grand Rapids pop/punk band Star Darts, and Ignition Control, a new band comprised of veterans of the Chicago music scene. Admission is $10, the music starts at 9:00 PM. If you miss this show, The Handcuffs will be performing at the Roscoe Village Burger Fest on July 12th; and the Halsted Market Street Days on August 10th. The Millennium Art Festival runs this weekend on Lake Street, just east of Michigan Avenue. The Safes will be in good company at their record release party for Record Heat tomorrow night, May 31st, at Martyrs’ Pub. 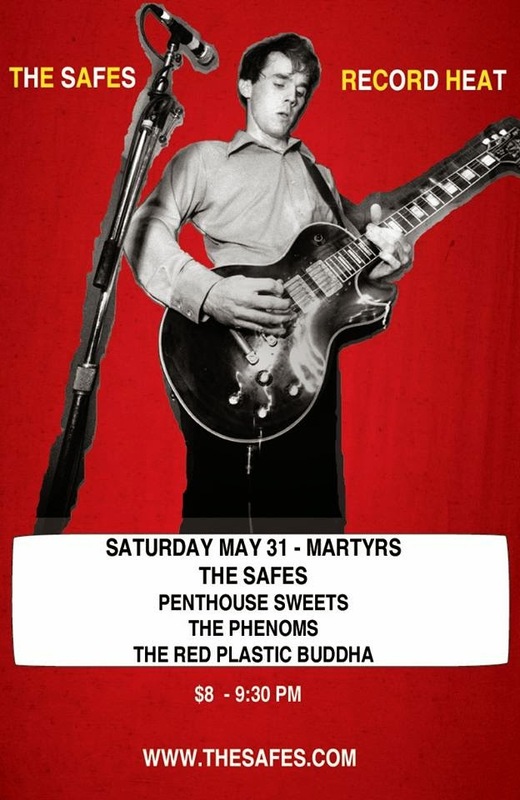 Penthouse Sweets, The Phenoms, and Red Plastic Buddha are also on the bill. Tickets go on sale tomorrow at 10:00 AM for the Tom Petty And The Heartbreakers with special guest Steve Winwood show at United Center on August 23rd. Charming Axe, featuring Rob Newhouse from The Elvis Brothers, has a CD Release party for Gathering Days at Old Town School Of Folk Music this Sunday at 4:00 PM. Their opening act is the duo Sweet Hello, comprised of Laura Doherty and Cat Tager. Admission is $12. Mooner and The Warm Ones, two bands that have racked up favorable CD reviews here on BHT, will be joining The Sleepwalkers at The Hideout next Thursday, June 5th. The Hideout recently announced the lineup for its annual Block Party And Onion A.V. Fest. Death Cab For Cutie, The War On Drugs, The Dismemberment Plan, funky Meters, Mac DeMarco, The Handsome Family, Sylvan Esso, Valerie June, Bad Luck Jonathan, and Plastic Crimewave Vision Guitarkestra will be performing there on the weekend of September 5th and 6th. Also at The Hideout, Lawrence Peters will present the 7th Annual Day In The Country Festival, on Sunday June 22nd. Acts performing on the Front Porch and Backroom Stages include Dogtown Ramblers, Nora O’Connor, The Lawrence Peters Outfit, The Harrow, and The Lantern Kickers. Meteorites, the new CD from Echo and the Bunnymen, is now available for pre-order on iTunes. The band has a Chicago gig coming up on August 10th at Metro. Rats to the rescue. Bob Geldof has reunited with The Boomtown Rats and will be performing at the third annual Rock Against Cancer concert in the English village All Cannings tomorrow, May 31st. Steve Harvey and Cockney Rebel; The Troggs; Paul Young’s Pacaminos; and The Straits, a spinoff of Dire Straits, are also on the bill. Organizers Andy Scott from The Sweet, pub owner Richard Baulu, and sound engineer Jon Grubby Callis are aiming to raise money to help the charities MacMillan Cancer Support and Above And Beyond. Other well-known musicians, including Paul McCartney and Brian May from Queen, have shown their support by modeling Rock Against Cancer t-shirts. Wonderfully Weird Wonders, a six-person exhibition opens next Friday, June 6th at the Curly Tale Fine Art gallery on Erie in Chicago. It will be the end of the world as we know it twice next week. Critically acclaimed covers band Tributosaurus will become R.E.M. next Wednesday night at Martyrs’ in Chicago, and at Wire in Berwyn next Friday. The Palette And Chisel Academy Of Fine Arts is hosting Summer Suite 2014, a group show featuring art by Mary Klug, Ralph Paquet, Peggy Sanders, Michelle Soncini, Bodo Stolczenberger, and Rob Waters from June 6th through the 15th. There’s an opening night reception next Friday, June 6th, from 6:00 to 10:00 PM. Hard-edged power pop trio The Viaducts are throwing a Drink/Rock Party at Live Wire in Chicago next Friday at 10:00 PM. At a time when all the suburbs are playing it safe by booking cover bands for their summer concerts, The Chicago Department Of Cultural Affairs and Special Events is making its Downtown Sound Mondays truly daring and unique. Robbie Fulks kicks off the free admission series on June 2nd, along with Funeral Bonsai Wedding, a new outfit featuring Steve Dawson from Dolly Varden. Other upcoming concerts include Richard Thompson and his Electric Trio on June 16th, Bob Mould and Split Single on June 23rd, Joe Pug and Hurray For The Riff Raff on July 7th, and The Both (Aimee Mann and Ted Leo) with Pillars And Tongues on July 21st. Downtown Sound Mondays finish off with Russian Circles and Colin Stetson on August 11th. Never mind giving Dad another tie this year. Let him expand his mind when The Hushdrops hold a Father’s Day Record Release Concert and Barbeque for Tomorrow, their first CD in 10 years, at Liar’s Club on Sunday June 15th. Earlier on BHT, I mentioned Chicago-based filmmaker Michael Smith’s upcoming feature-length flick, Cool Apocalypse. Smith recently announced that the bios for his newly chosen cast of Chelsea David, Nina Ganet, Adam Overberg, Kevin Wehby, France Jean-Baptiste, Natalee Cooney, and Jeffrey Rubin, can be viewed on the official Cool Apocalypse website. Smith noted that the first day of shooting comes in less than a month, and that he was recently reviewed by his wife Jillian for her Exploring Feminism blog. Cool Apocalypse has raised $4,526.52 of its $5,000 goal with 24 days until its deadline. 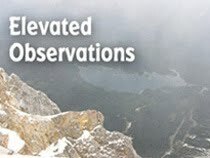 Donations can be made at the film’s website. Singer-guitarist/author/model car maker Dean Milano and various musicians will perform in an informal setting next Wednesday, June 4th at The Bagel restaurant in the Old Orchard Mall in Skokie.